Did you know that the word “queue” is the only word in the English language to be pronounced the same way when you remove the last four letters; or that “almost” is the longest word in the English language with all the letters in alphabetical order? Wait, you didn’t? And you didn’t care either? Well how about some useful information? 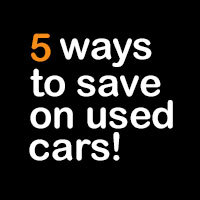 Like five ways to save when buying used cars in Northern Ireland. Buying second hand cars in Northern Ireland is a smart move in general: typically, a car that is just one year old will retail for around 60 per cent of its original cost. That means you can get sparkling, nearly new cars at cheap prices: and enjoy all the latest technologies too. Among them is stop-start technology which shuts down an engine when you’re at a junction so that you will save fuel, before automatically restarting when you put your foot on the clutch. According to a survey from Citroen, this could improve fuel economy by 43 per cent in rush hour drives: so buy a car with stop-start technology and you WILL save money. Even if you have less faith in global warming than Jeremy Clarkson and turn on all the lights in your home during the daytime just out of spite, there are still plenty of reasons to consider CO2 emissions when you buy a used car in Northern Ireland. That’s because CO2 emissions will give you an indication of how economical the vehicle will be to drive: the lower the emissions, the better the fuel economy. In addition, emissions are also used to calculate road tax and will also determine congestion charges: so the greener, the better. Diesel is better for fuel economy, apparently, so many of us jump for diesels when searching for second hand cars in Northern Ireland. However, diesels also cost more than their petrol equivalents: and the fuel is more expensive. So if you mainly drive short distances, you’ll probably save with a petrol model. It’s too easy to think you’ve picked up a Billy Bargain on a used motor because its price tag is low: it won’t be so cheap if you haven’t thought about insurance too. There is a 50 group insurance system so there can be huge variations in how much a vehicle will cost you to insure. Be particularly careful of range toppers: because generally the more equipment a car has and the bigger its engine, the more expensive it will be to insure. Ever replaced a set of tyres? The costs can quickly stretch to £500 (€585) or more; and that’s without mentioning the dangers and illegalities of driving around on worn tyres. So make sure you make all the necessary checks ahead of time.